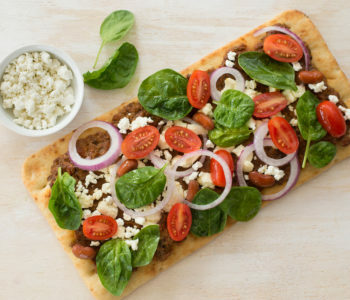 PLACE flat bread on baking sheet. 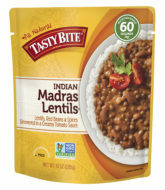 SPREAD Tasty Bite® Madras Lentils™ on flatbread and top with goat cheese. BAKE for 8 minutes or until cheese is melted. REMOVE from oven, top with spinach, onion and tomato.